Rusting exterior and undercarriage: Dirt and salt can wear away at your vehicle’s exterior and undercarriage, causing them to rust. To protect your car’s exterior, wash and wax it before the harsh winter weather hits. To protect its undercarriage, take it into a service center and have it coated with an oil or wax solution. Battery: Weak or failing batteries struggle to perform in low temperatures. The last thing you want is for your battery to fail, leaving you stranded in the cold. Therefore, have your battery checked at a local service center before the temperatures drop too low. Plastic trim: Plastic becomes brittle in cold temperatures, and vehicles routinely feature plastic trim around their exteriors. In wintertime, you should be especially careful about bumping into curbs or snow piles. 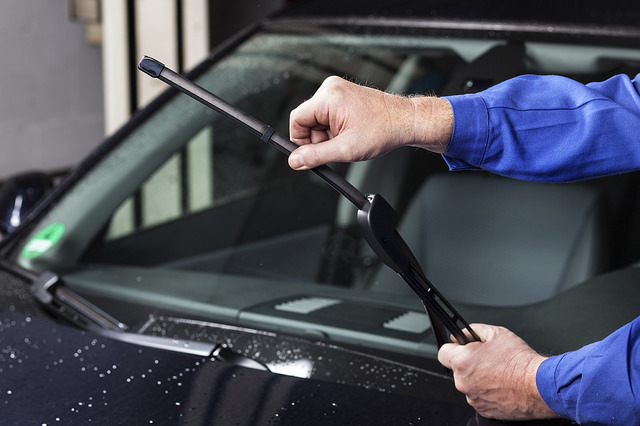 Wiper blades: Winter ice can tear apart your wiper blades, so you will want to keep an eye on them as winter goes on. Since maintaining good visibility is a top priority in wintertime, you should consider getting winter-specific wiper blades. Engine’s cooling system: Antifreeze does exactly what it sounds like: it prevents the water in your engine’s cooling system from freezing. Make sure you have appropriate amounts of antifreeze and test your antifreeze’s strength – a mechanic can help you with this. As always, the Service Center at The Duell’s Evansville Kia is here to answer any questions or concerns you may have, so don’t hesitate to bring your vehicle in this winter.